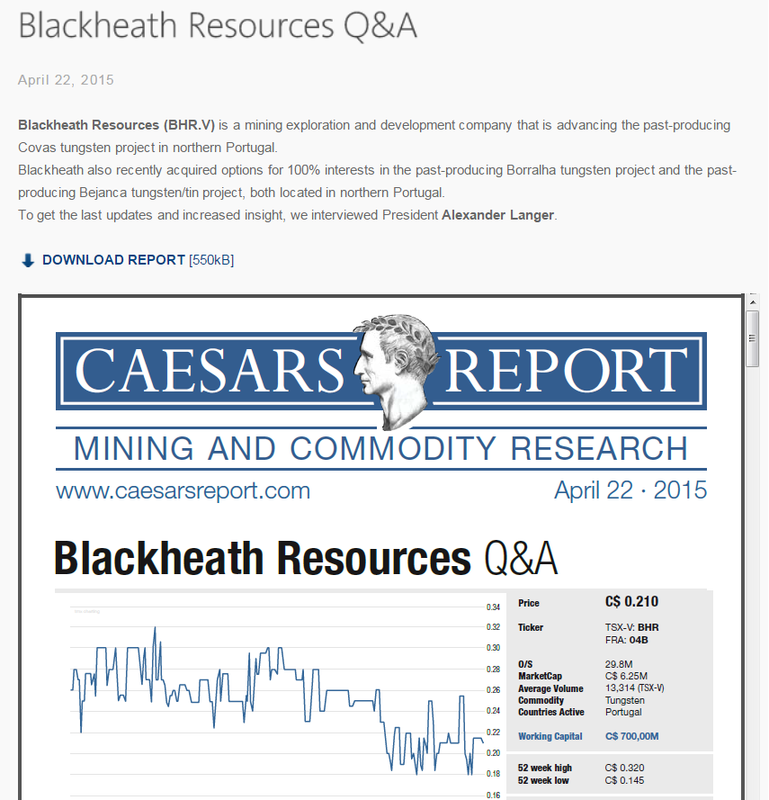 "...Buy—UEC has been doing everything right. While the company’s operations remain idle, UEC has quietly been focusing on the future. The Hobson ISR Plant remains fully permitted and operational with nearby satellite projects being developed. 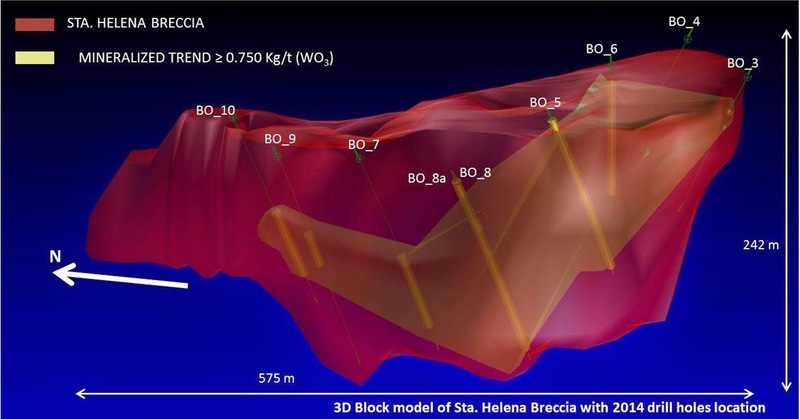 Burke Hollow’s resource is now at an impressive 5.1 million pounds of U3O8, but management has stated there will be further growth as 55% of the project remains unexplored. Be patient on how you buy and try to buy during market weakness, but when the uranium market starts to heat up again, UEC as the only unhedged uranium producer in the world will have the largest leverage in the uranium sector. 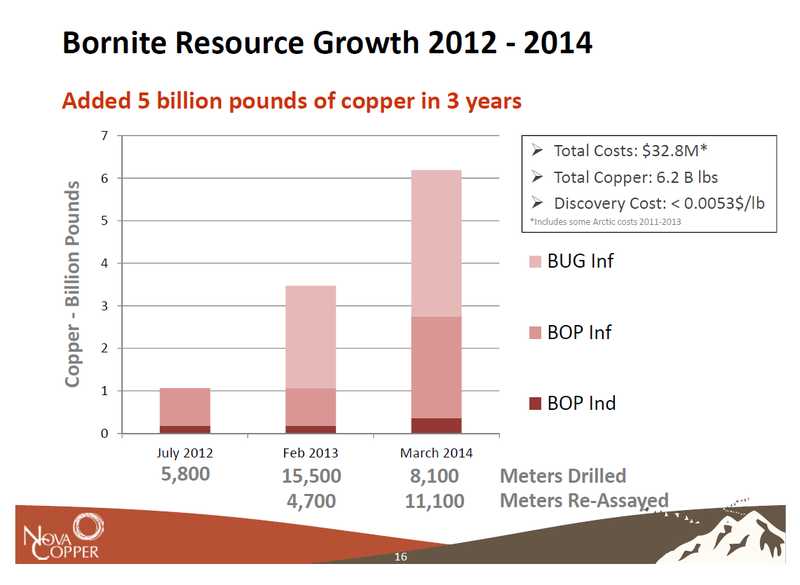 UEC over the next 5 years will do very well. In 2014, UEC drilled more than 200 holes to expand its resources with the hub-and-spoke strategy in South Texas. After Burke Hollow, UEC plans to develop the Longhorn, Salvo, and Nichols ISR Projects. Management has singled out the new Longhorn Project specifically for future growth. It has an aquifer exemption already covering the entire project area and is located in a major historic producing area. In addition to South Texas, UEC also has 20 projects in the southwestern US. 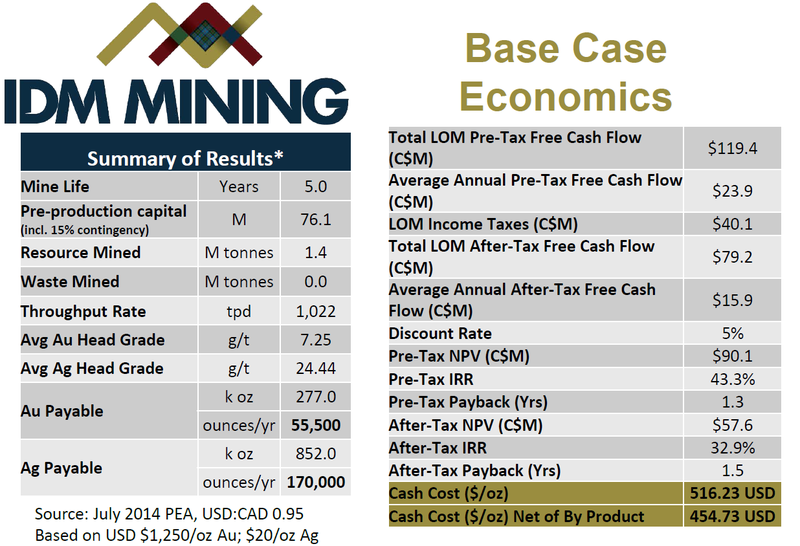 In 2014, the company completed preliminary economic assessments (PEA) for the Anderson Project in central Arizona and the Slick Rock Project in Colorado with a combined NPV of approximately $200 million (based on a uranium price of $65 per pound). Relative to its peers, UEC is in great shape. It is the cheapest across all metrics, being severely undervalued according the most important metric, the price-to-NAV. At first it may look like Energy Fuels has UEC beaten on that front, but EFR is a conventional producer with its undeveloped resources pushing up a lot of the value. Every pound in the ground is given a small value, but the reality is that it’s hard to put any sort of value on these resources because the majority of them will not be developed. The cash cost per pound for EFR stands at a staggering $41.00 per pound, while UEC is the cheapest in the United States at $19.00. For all these reasons, we’re happy to hold on to our risk-free shares and wait for a rebound in uranium prices. The company trades at a steep discount and has arguably the best project pipeline among US ISR producers.."
In die Uran-Industrie kommt wieder richtig Leben rein. Während der letzten Tage gehen einige Uran-Titelpraktisch durch die Decke und das Handelsvolumen legte generell massiv zu.. Die Übernahme- und Konsolidierungs-Welle im Goldminensektor geht ungebrochen weiter. Heute schnappt sich Major Yamana Gold (NYE:AUY) für lediglich knapp 18 Mio. CAD mehr als 4 Millionen Goldunzen im Osten von Kanada inkl. ein potentielles Gold Camp, die im Besitz der Junior-Firma Mega Precious Metals (TSX-V:MGP) waren. Yamana erwirbt gleichzeitig historische Explorations- und Entwicklungsarbeiten mit einem Gegenwert von etlichen Millionen Dollar, was den Deal extrem günstig aussehen lässt. 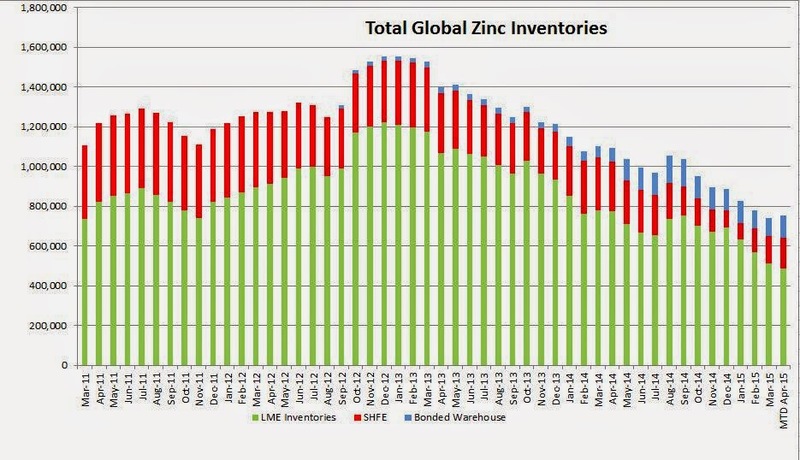 Der Langfrist-Chart von Mega Precious spricht derweil Bände (siehe unten)..
THUNDER BAY, ONTARIO--(Marketwired - April 24, 2015) - Mega Precious Metals Inc. (TSX VENTURE:MGP) ("Mega" or the "Company") is pleased to announce that it has entered into a definitive agreement (the "Agreement") with Yamana Gold Inc. (TSX:YRI)(NYSE:AUY) ("Yamana"), whereby Yamana will acquire all of the outstanding shares of Mega under a plan of arrangement for consideration of 0.02092 of a Yamana share and cash of C$0.001 per Mega share, equivalent to C$0.10 per Mega share, based on the closing price of Yamana shares on the TSX on April 23, 2015. The total consideration to Mega shareholders is approximately C$17.5 million, based on the Company's issued current and outstanding shares. Yamana has also agreed to purchase the outstanding convertible debentures held by Pacific Road Capital Resources Funds. Mega's board of directors has unanimously approved the transaction and recommends that Mega shareholders vote in favour of the arrangement. All of the directors and officers of Mega, as well as certain shareholders who collectively own approximately 22% of Mega's issued and outstanding shares, have entered into support agreements with Yamana pursuant to which they have agreed, among other things, to support the transaction and vote their Mega shares in favour of the arrangement. Paradigm Capital Inc. has provided an opinion to Mega's board that the consideration is fair, from a financial point of view, to Mega shareholders. 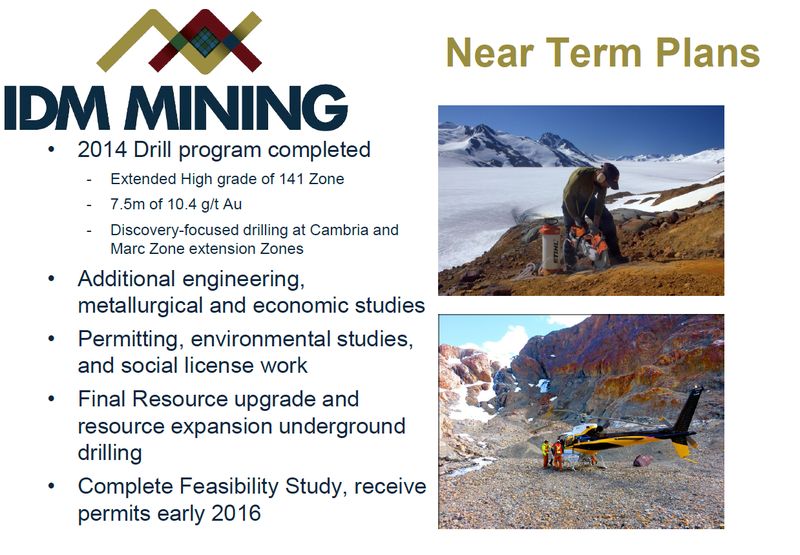 Yamana has the resources and technical expertise to advance Monument Bay along with its many Regional Exploration targets and the Company's other projects with a view that they may become valued additions to its Canadian portfolio. The acquisition represents a material progression in the advancement of Monument Bay from a grass roots exploration project when Mega began to explore the project in early 2011. 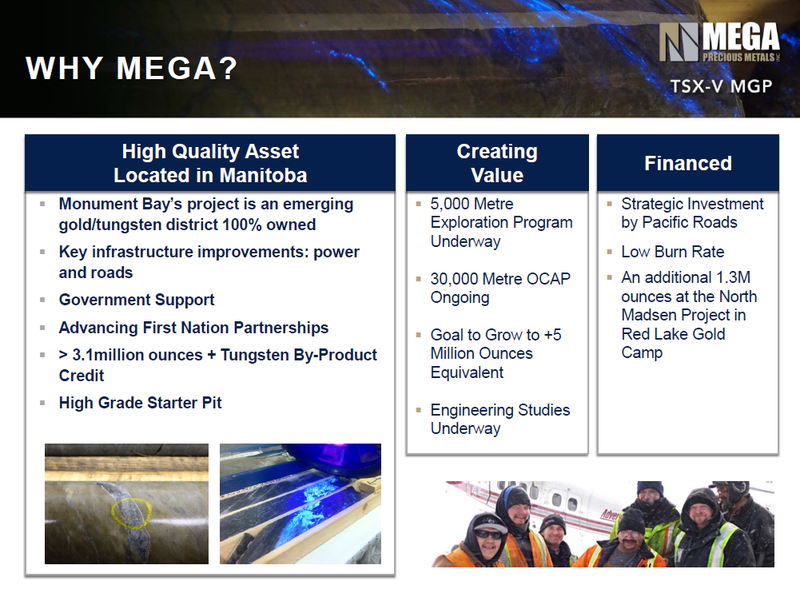 Mega's Chairman, Mario Stifano summarizes the board's view as follows, "We are very proud of the work that the entire Mega team has done on Monument Bay over the past 4 years. The Monument Bay Project has grown into what we consider to be one of the best development assets in the industry and we are proud to be part of this story. 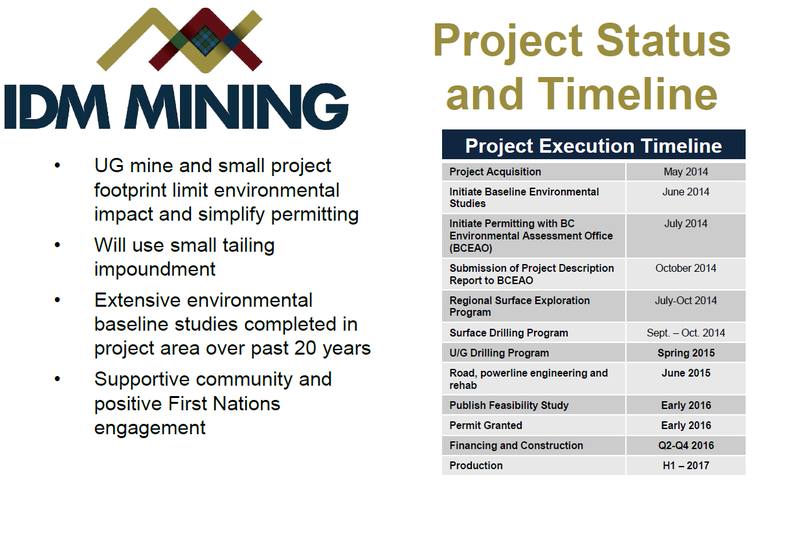 Our team has assembled a 338km2camp-sized land position, advanced the project to its current multi-million ounce resource, formulated a regional geological and targeting model, including the realization of a potential tungsten by-product and importantly, we have developed a positive and respectful relationship with the Red Sucker Lake First Nation. The acquisition by Yamana allows the work done on Monument Bay to continue unabated to the benefit of all stakeholders." 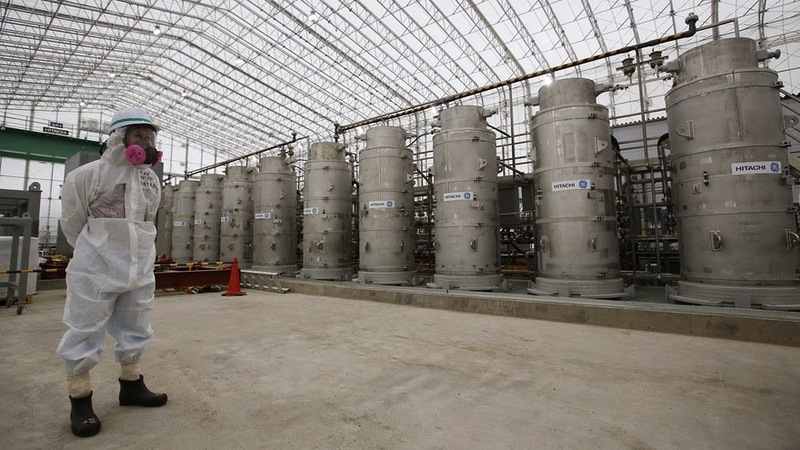 Glen Kuntz, Mega's CEO is keen for Yamana to continue the work on the project, stating, "My experience in dealing with Yamana's management and technical team is that they are world-class and committed to growing the Monument Bay Project along with the rest of their portfolio in Canada. This acquisition not only validates the project and its value, but also the opportunity to our shareholders to participate in the future success with one of the industry's most respected gold producers. 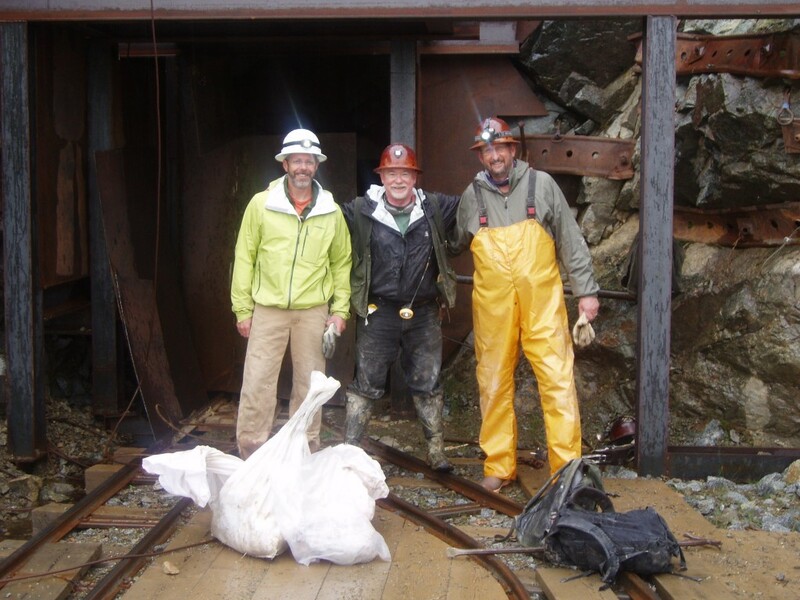 The work Mega's team has done on Monument Bay has been remarkable, we have not only grown the initial small underground resource into a multi-million ounce resource, but also discovered multiple new deposits and structures. We believe this transaction is an excellent outcome for Mega shareholders as it provides a significant premium recognizing the value embedded in our projects. We look forward to joining their team and continuing the work we have successfully started." "The acquisition of Mega Precious Metals advances Yamana's strategy to expand our presence in Canada, which we established last year with the joint acquisition of Canadian Malartic and a portfolio of exploration properties in Quebec and Ontario", said William Wulftange, Senior Vice President, Exploration for Yamana Gold. Yamana's exploration program has contributed to unlocking value within our portfolio through consistently finding high quality ounces at our properties and we are looking forward to applying our experience and expertise at Monument Bay. The significant existing mineral resource base at Mega's Monument Bay and North Madsen Projects in particular provide an opportunity for further exploration to meaningfully increase the potential of these assets. "With the addition of Monument Bay in particular, we look forward to continuing the positive relations that have been established with the First Nations population and other stakeholders in the region, including the Government of Manitoba." Krasse Entwicklungen und potentielle Pläne beim größten, amerikanischen Rohstoffproduzenten..
Two years after its much criticized $9B purchase of two energy exploration companies, Freeport McMoRan (NYSE:FCX) is considering spinning them off or selling a minority stake - although the company apparently would retain a “significant interest” in any spun-off entity. A possible IPO of stock in the oil and gas business could take place late this year and would highlight the stand-alone value of the business, Jim Flores, vice-chairman of FCX and CEO of the company’s energy business, said in today's earnings conference call. "If this is the path that Freeport ultimately chooses, it clearly indicates that management’s quest to find a strategic investor in its energy business has not worked,” says Jefferies analyst Christopher LaFemina. In its Q1 results, FCX reported a $3.1B loss for impairment of oil and gas properties, and said the cash margin in its oil division fell to $23.45/boe from $58.71 a year ago with revenue slumping by more than half to $547M from $1.2B. FCX's debt - now up to $20.3B - ballooned with its 2013 acquisition of two oil and natural gas producers, as it diversified its business beyond copper, gold and molybdenum mining. Die Fundamental-Daten im Zinkmarkt werden für Investoren zunehmend attraktiver. Die Lagerbestände sinken seit Monaten deutlich und der Mark steuert aufgrund dem Auslaufen von ein paar großen Zinkminen auf ein deutliches Angebotsdefizit zu, was sich in den nächsten Jahren verfestigen könnte.. Long-term, strategisch und finanziell gesehen ein genialer Deal für NovaCopper (TSX:NCQ), der nachvollziehbar den Support von den Weltklassse Aktionären wie Electrum, Gold First, John Paulson und Baupost erhält. 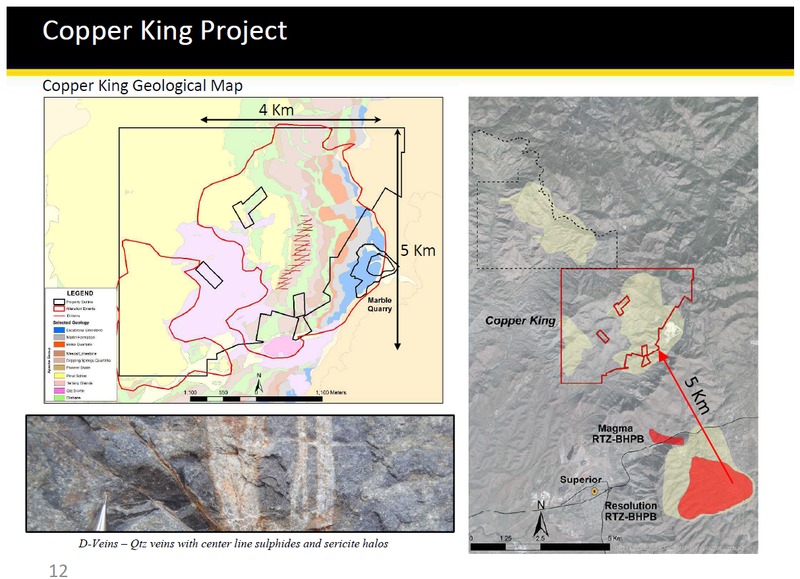 Consolidation in the junior mining industry continues with NovaCopper proposing to acquire Sunward Resources in an all-share deal valuing Sunward at approximately US $27.6 million, more than double its current market capitalization of about C $13.5 million. The proposed transaction creates a junior miner with significant projects in Alaska and Colombia, excellent management and very influential backers including John Paulson. 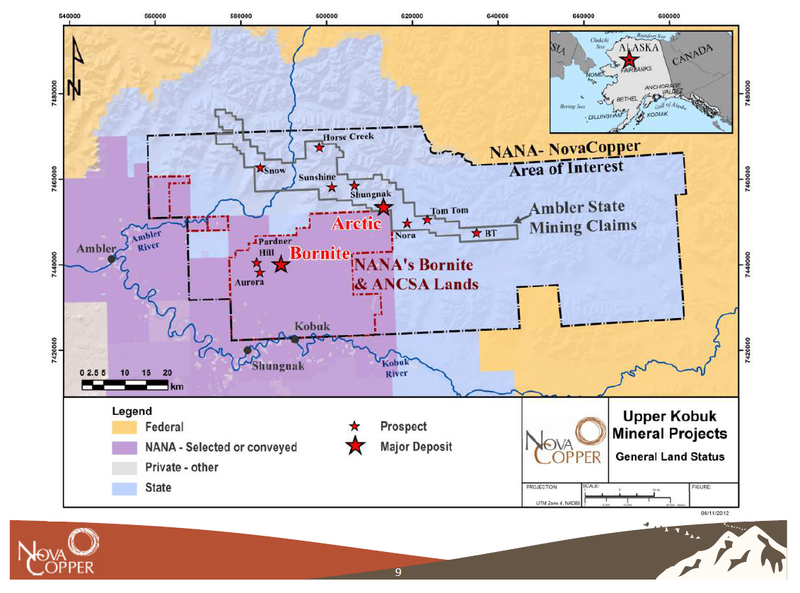 Rick Van Nieuwenhuyse’s NovaCopper (NCQ.TO) controls the Arctic and Bornite deposits located in the Ambler mining district of Alaska, USA. 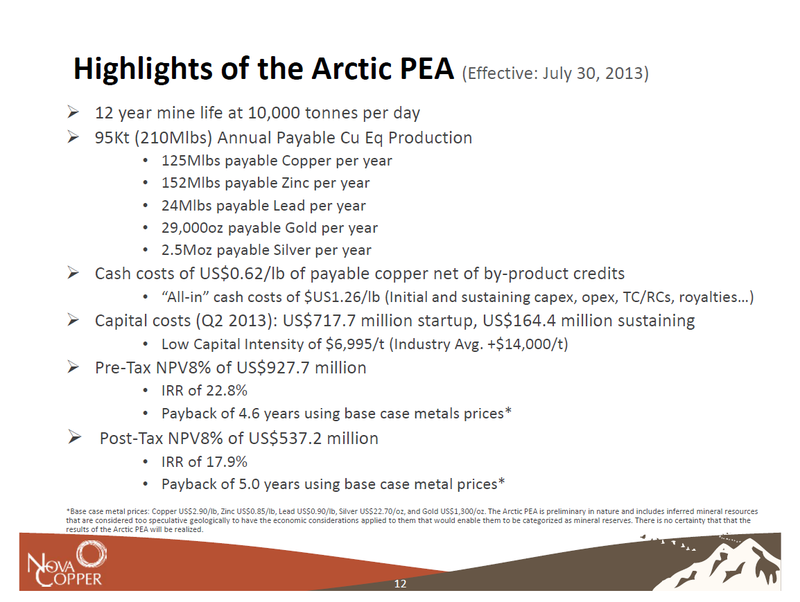 At the Arctic deposit, the company plans to advance the deposit towards feasibility with a US$8-10 million field program this summer. The acquisition of Sunward will provide NovaCopper with the 100%-owned Titiribi Project in Colombia, which hosts NI 43 101-compliant Measured and Indicated Resource of 4.63 million ounces of gold contained within 285.8 million tonnes grading 0.50 grams/tonne and Inferred Resource of 6.01 million ounces of gold contained within 349.4 million tonnes grading 0.53 grams/tonne. 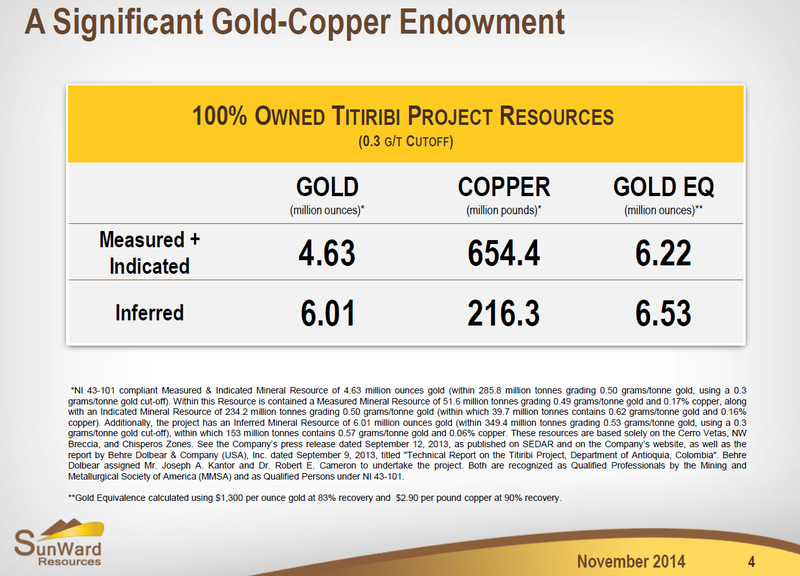 All Titiribi resources were assessed using a cut-off of 0.3 grams/tonne gold. 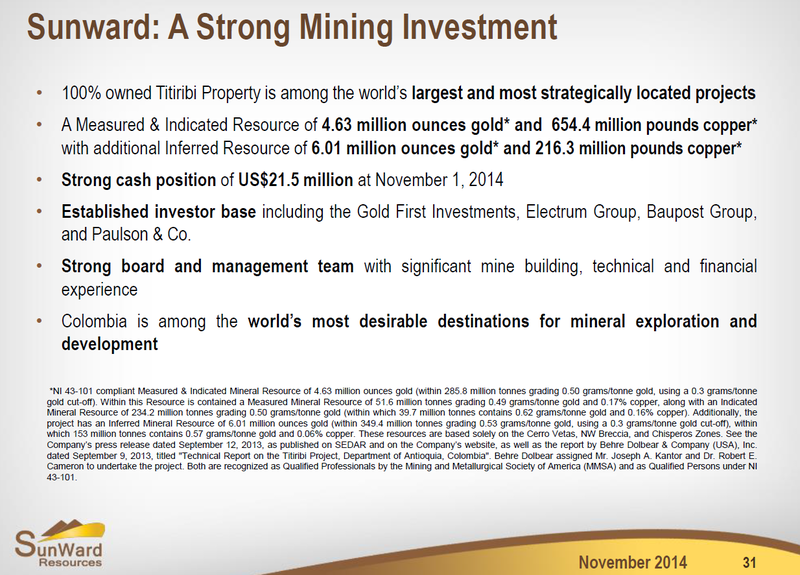 Titiribi also hosts 654.4 million pounds of copper in the Measured & Indicated Mineral Resource and 216.3 million pounds of copper in the Inferred Resource. 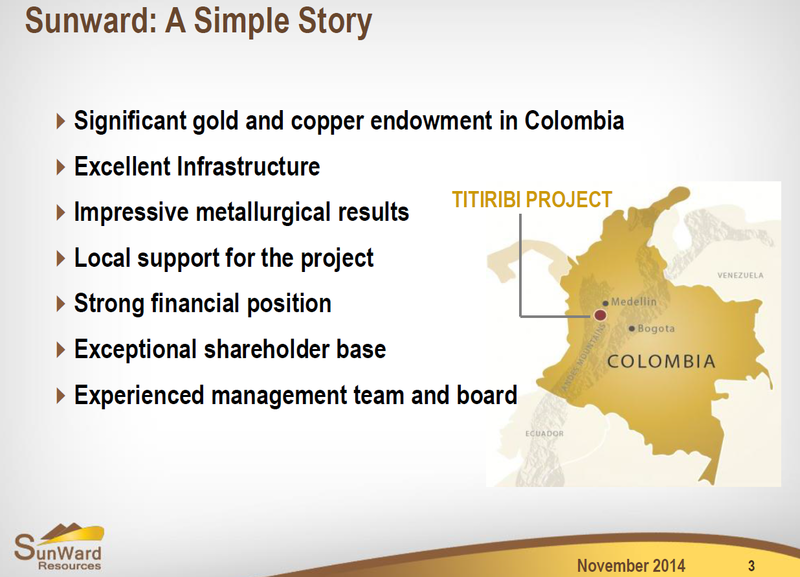 Additional exploration potential of the multi-million ounce Titiribi asset in Colombia. All of Sunward’s officers and directors support the NovaCopper deal. Additionally, Sunward’s four biggest shareholders, including Gold First Investments Limited, Electrum Strategic Acquisitions LLC and Paulson & Co. Inc., who hold, in aggregate, approximately 70% of Sunward’s issued and outstanding Shares, have agreed to support the deal at a special shareholders meeting to be held in June or July. 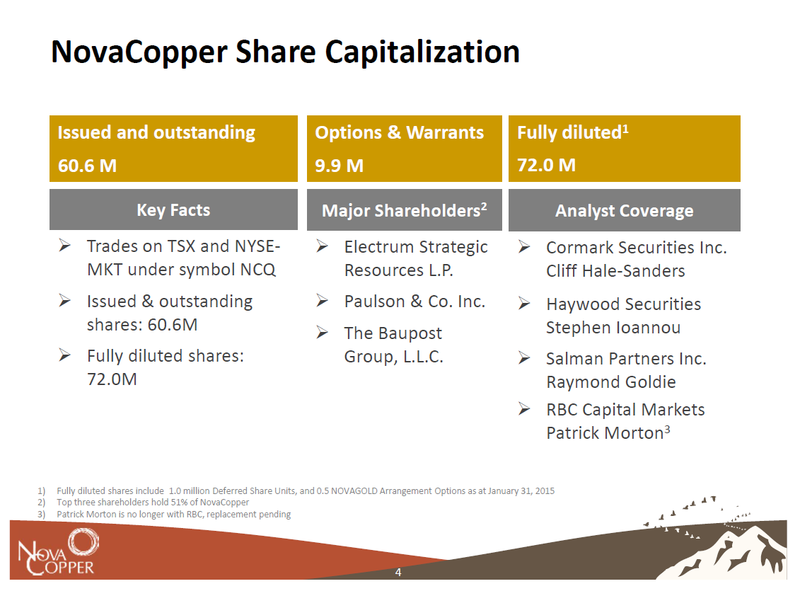 Upon completion of the Arrangement, the combined company will be owned approximately 58% by NovaCopper shareholders and 42% by Sunward shareholders. 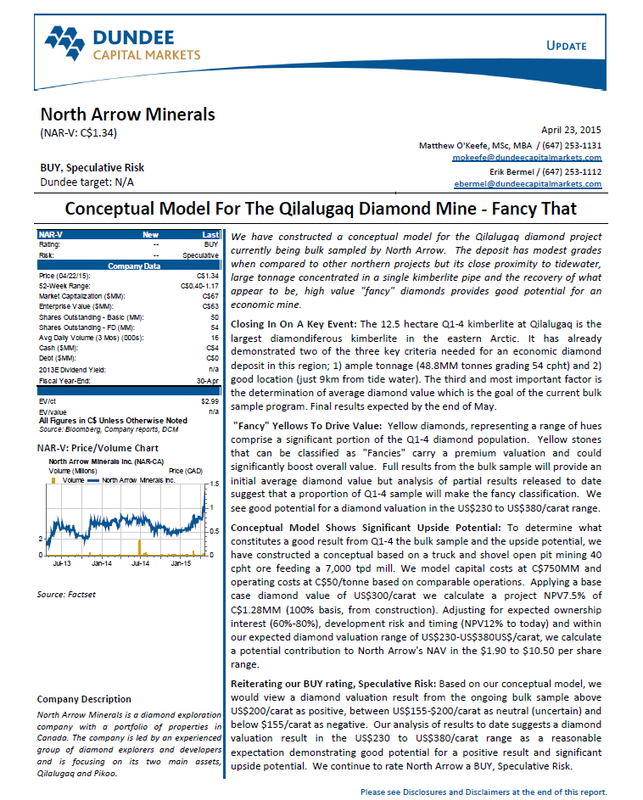 For more information: NovaCopper and Sunward Announce Arrangement..
Nach der letzten herausragenden News von Diamanten-Explorer North Arrow Minerals (TSX-V:NAR), stuft das Top-Finanzhaus Dundee Capital Markets die Junioraktie auf "Spekulativ kaufen" und sieht einen potentiellen Kurswert von 1,90 - 10,50 CAD (!) in Zukunft. In die Uran-Industrie kommt wieder richtig Leben rein. Während der letzten Tage gehen einige Uran-Titel praktisch durch die Decke und das Handelsvolumen legte generell massiv zu. Aktien des amerikanischen Uran-Produzenten und Developers Uranium Energy (NYY:UEC) gehören zu den größten Profiteuren der aktuellen Rally, wobei der CEO Amir Adnani erst letzte Woche weitere Firmenanteile am Markt hinzukaufte..
Aber auch das diversifizierte Uranminen-ETF URA legte deutlich zu..
Ganz starke News bei Diamanten-Explorer North Arrow Minerals (TSX-V:NAR), der auf dem Qilalugag Projekt in Nunavut einige seltene, gelbe "Steine" entdeckt hat. 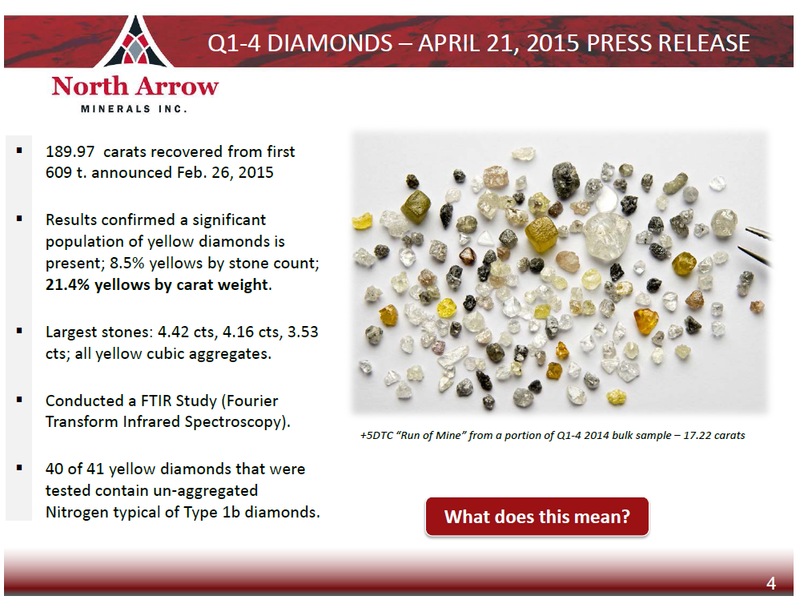 Der Aktienkurs setzt seinen Höhenflug fort..
VANCOUVER, BC--(Marketwired - April 21, 2015) - North Arrow Minerals Inc. (TSX VENTURE: NAR) is pleased to report that yellow diamonds from the Q1-4 kimberlite contain un-aggregated nitrogen, a defining characteristic of rare, natural Type Ib diamonds with fancy "Canary Yellow" colours. Type Ib diamonds are exceptionally rare, estimated to make up less than 0.1% of natural diamonds globally. 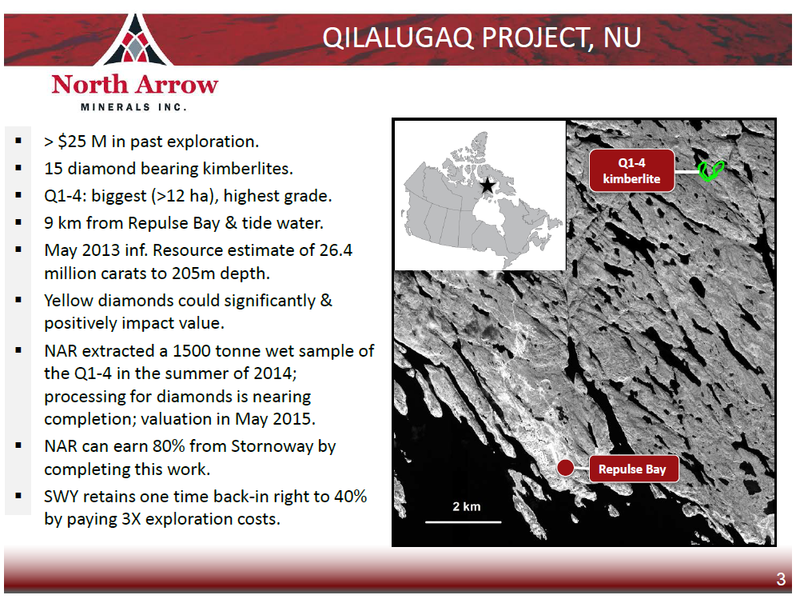 The Q1-4 kimberlite is located within the Qilalugaq Diamond Project, just nine kilometres from the Hamlet of Naujaat (Repulse Bay), Nunavut..
Starke Zahlen vom weltgrößten Rohstoffproduzenten BHP Billiton (NYE:BHP). Die Produktionskosten in den gigantischen Eisenerzoperationen in Australien betragen nun weniger als 20 USD/Tonne und endlich gibt es auch eine Verzögerung im Hinblick auf die geplanten Kapazitäts-Expansion von Port Hedland, was den Eisenerzpreis umgehend befeuert..
BHP Billiton (NYSE:BHP) says it produced 59M metric tons of iron ore during the three months ending in March, up 20% Y/Y and 5% Q/Q, and raises its output forecast for the year through June by 2% to 230M tons. In the first three quarters of its fiscal year, which ends June 30, BHP's output totaled 172.4M tons, up 17% Y/Y. 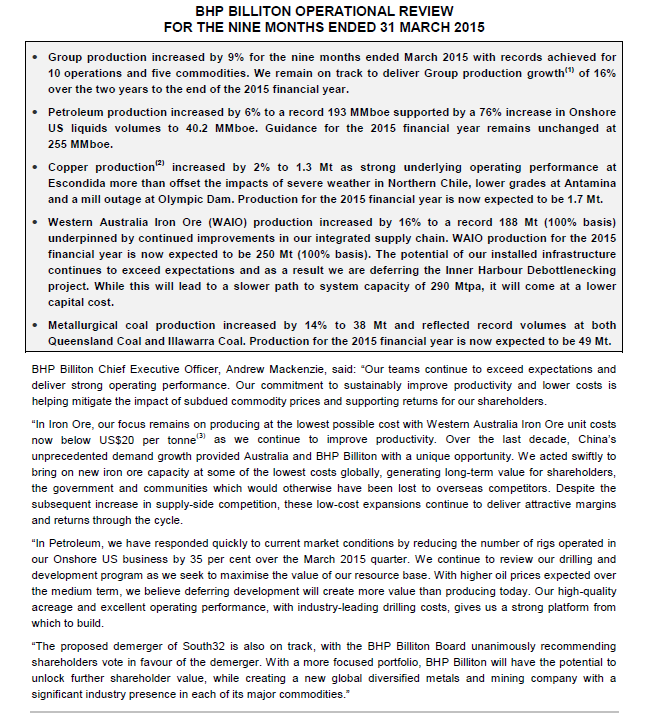 BHP says its Western Australian operations have produced a record 188M tons YTD (including the share of minority joint venture partners), and increases full-year guidance for those operations by 2% to 250M tons. BHP also says it will defer a project designed to improve capacity for its inner harbor infrastructure at Port Hedland, which will slow its expansion to a targeted 290M ton capacity but at a lower cost. BHP does not reveal the exact savings to be achieved by deferring the spending, but RBC Capital analysts estimate the amount at close to $US600M. Die kanadische Junior-Gesellschaft Desert Star Resources (TSX-V:DSR) vermeldete am 14. April den erfolgreichen Firmen-Zusammenschluss mit Providence Resource Corp., der dann auch schon bis Ende des Handelstages am 15. April final über Tisch ging. Heute gab Desert Star den Erwerb von zwei weiteren, interessanten Mineral-Liegenschaften bekannt, die sich direkt neben den Konzessionen des Hauptprojekts Copper King befinden. Alle Kupfer-Konzessionen liegen in bester Lokalisierung einem etablierten Minenbezirk in Arizona, dem größten und wichtigsten Kupferproduzenten in Nordamerika. Desert Star Resources Ltd. has entered into an option agreement for the purchase of the Fortuna No. 1 and Fortuna No. 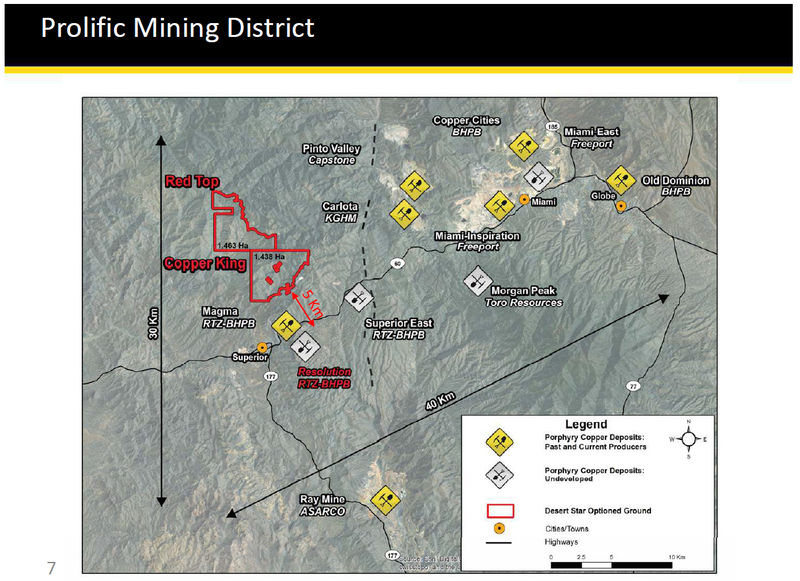 2 patented lode mining claims, situated in the Pioneer mining district, Pinal county, Arizona. 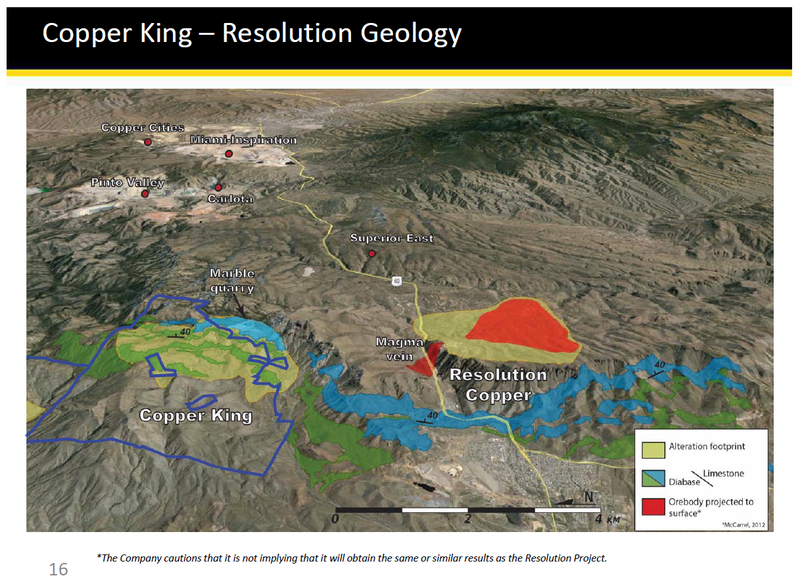 These patented lode claims reside within the company's Copper King project area..
Weitere Informationen zu den jüngsten Akquisitionen dürften in absehbarer Zeit folgen..
Miranda Gold CEO Ken Cunningham sees 2-3 more difficult years ahead for mining investors, which gives his company more time to acquire and advance its projects with less competition. His low-market-cap prospect generator, Miranda Gold (MAD.V), plans to further monetize its Nevada gold assets, while another JV-partner in Alaska forges ahead modest, high-grade gold production with expansion potential. Meanwhile, Miranda’s significant geological expertise is focused on making a big discovery in Colombia..
Blackheath Resources (TSX-V:BHR, DE:04B, WKN: A1J3VA) publiziert heute beachtliche Bohrergebnisse vom Explorationsprogramm auf dem Borralha-Wolframprojekt im Norden von Portugal. Borralha gilt nicht ohne Grund als attraktives und besonders aussichtsreiches Wolfram-Asset. Denn auf den Liegenschaften wurde in der Geschichte die zweitgrößte Wolfram-Mine des Landes betrieben. Blackheath's Konzessionen auf Borralha umfassen riesige 127,5km², welche sich rund 60km nordöstlich von der Großstadt Porto befinden (siehe Grafik 2 unten). Aufgrund der reichen Historie verfügt das Projekt über eine gute Infrastruktur, was sich natürlich nicht nur auf die Kostenseite und die Schnelligkeit der Projekt-Erkundung & Erschließung positiv auswirkt. Sehenswerte Neuentdeckung in den ersten Drilling-Arbeiten! Und genau hier hat Blackheath nun im ersten Bohrprogramm der Firmen-Historie bereits eine Weltklasse Wolfram-Discovery erzielt, die wahrlich Bände spricht. So traf das beste Bohrloch auf einer Länge von 118 Metern 0,29% WO3 (= Wolfram-Oxid). Das Beste daran: Die bedeutende Wolfram-Mineralisierung startet bereits in 57 Metern Tiefe, wodurch sich eine sehr attraktive Oberflächennähe ergibt, die für den kostenschonenden Tagebau prädestiniert ist. Wir reden hier von einem enorm wertvollen Treffer. Der durchschnittliche Metallwert (Wolfram-Oxid) dieser Discovery-Bohrung liegt nämlich bei knapp 80 USD pro Tonne, was im Hinblick auf ein Tagebau-Minenszenario (anvisiert) für das ohnehin so werthaltige Spezialmetall schlichtweg gewaltig ist. Auch die anderen Bohrungen lieferten starke Wolfram-Resultate in lukrativer Tiefe und lagen weit über dem globalen Branchen-Durchschnitt. Unter dem Strich schaffte Blackheath es, eine der besten, oberflächennahe Bohrresultate aller Zeiten in der Wolfram-Branche zu erzielen, was für sich spricht. Schließlich werden weltweit auch nur eine geringe Anzahl an bedeutenden Wolfram-Projekten außerhalb von China entwickelt. Demnach stehen die Chancen jetzt sehr gut, dass Blackheath auf Borralha eine lukrative Wolfram-Ressource definiert, die profitabel ausgebeutet werden kann. Daneben bleiben weitere, signifikante Discovery-Potentiale auf den Liegenschaften bestehen, was zahlreiche Indikationen inkl. der aktuellen Bohrergebnisse belegen (siehe Grafik 3 unten). Interessante Hintergrund-Informationen für Sie: Die kanadische Junior-Firma war durch sein smartes und erfahrenes Management in der Lage, das eine erfolgreiche Bilanz in der Wolfram-Branche vorweisen kann, fünf der bedeutendsten, historischen Wolfram-Minen in Portugal zu erwerben. Hierbei punktete das kompetente Führungsteam vor allem durch seine früheren Erfolge und erstklassigen Kontakte in der Wolfram-Industrie. Denn die aktiven Manager haben bereits eindrucksvoll bewiesen, was sie drauf haben und haben etliche Aktionäre zu einem Vermögen verholfen. Den Verantwortlichen ist es nämlich bei der ehemaligen Erfolgs-Story um Primary Metals gelungen, diese für viel Geld an ein japanisches Minenunternehmen zu verkaufen. Und das zum Hochpunkt der letzten, großen Rohstoffhausse im Jahr 2007 - was für ein geniales Timing. Primary verfügte damals über eine attraktive, produzierende Wolfram-Mine in Portugal, welche das Marktinteresse im Sturm eroberte. Die Aktionäre fuhren hierbei gigantische Gewinne ein, denn Primary's Aktienkurs stieg vom IPO bei $0,15 bis auf einen Übernahmepreis von fantastischen $3,65. Dies entspricht einer überragenden Performance von mehr als 2.400% binnen 4 Jahren (siehe Grafik 1 unten). Weshalb war der europäische Staat für die Japaner so interessant? Portugal ist einer der wenigen Regionen weltweit außerhalb von China (> 85% Marktanteil), in der Wolfram in signifikanten Mengen und ökonomisch in der Historie produziert wurde. 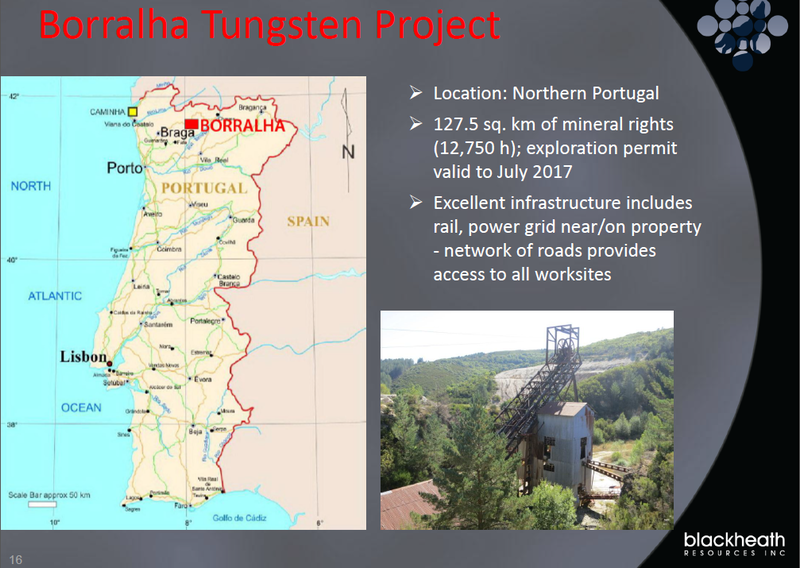 Demnach stellt das Borralha Tungsten Projekt im Norden von Portugal für Blackheath ohnehin ein sehr attraktives Assset mit "Company Maker" Potential und strategischem Wert dar. Und genau das scheint sich jetzt mehr und mehr abzuzeichnen. Im Hinblick auf den aktuellen Börsenwert von weniger als 7 Mio. CAD ist es nicht schwer zu erkennen, dass die Blackheath-Aktie nach dieser Discovery beträchtliches Aufwärts- und Performance-Potential hat. Neben Borralha besitzt Blackheath in Portugal ja auch noch bspw. das lukrative Covas Wolfram-Projekt (ebenfalls ex-Mine), was alleine über einen aktuellen Ressourcen-Wert von mehr als $240 Millionen verfügt und in einem Joint-Venture betrieben wird. Erwähnenswert ist an dieser Stelle ebenfalls, dass sich der Großteil der Aktien in festen Händen von überzeugten und strategischen Langfrist-Aktionären befindet, die weit über dem aktuellen Kurs eingestiegen sind. Zu diesen gehört auch das Management, das bedeutende Firmen-Anteile kontrolliert. Auch die letzte Finanzierung wurde auf einem wesentlich höheren Kurslevel durchgeführt. Sie steigen aktuell sogar so günstig ein, wie kaum jemand zuvor (siehe Grafik 4 unten)! Das Ziel ist klar definiert: So visieren die Verantwortlichen in Zukunft den nächsten großen Coup in der Wolfram-Industrie an. Mit den aktuellen Firmen-Nachrichten haben sich die Potentiale und der Ausblick der Story definitiv massiv verbessert - unabhängig von der schwerwiegenden Marktlage in der Minenbranche, in der ohnehin ein langer Atem und gute Nerven gefragt sind. 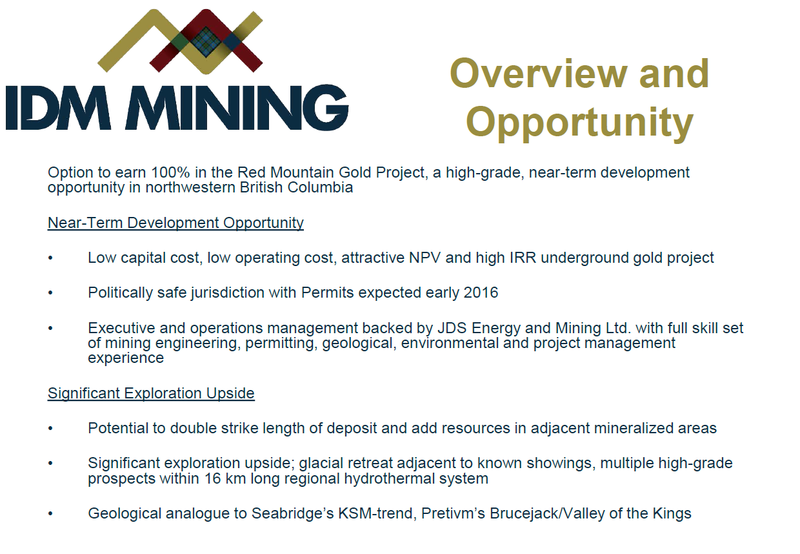 Der Aktienkurs von Primary Metals gibt demnach den möglichen Weg von Blackheath vor..
Gold-Developer & Explorer IDM Mining (TSX:IDM), der sich auf die Erkundung und Entwicklung des hoch-gradigen Goldprojekts Red Mountain in British Columbia fokussiert, vermeldet heute die Erlaubnis für eine Schuldenbegleichung via Aktienausgabe. Wir dürften in absehbarer Zeit weitere Firmen-News zu den Explorations- und Entwicklungs-Programmen für 2015 sehen, sowie vermutlich eine neue Kapitalmaßnahme..
IDM Mining Ltd. has received regulatory approval and has extinguished $676,845 of amounts owing to certain arm's-length creditors through the issuance of 4,512,301 common shares of the company at a deemed price of 15 cents per share. The shares are subject to a four-month hold period from the date of issuance..
Uran-Juniorproduzent & Developer Uranium Energy (NYE:UEC) setzt seine starke Kursrally vom Freitag heute eindrucksvoll unter hohem Handelsvolumen fort. Wir sahen sehr viel Bewegung im Rohstoff- und Minensektor in der letzten Handelswoche, in welcher insbesondere Kupferminen einen bedeutenden Turnaround verzeichnen können. Der Goldpreis (GLD) kämpfte sich nach einem schwächeren Wochen-Auftakt zurück ins Plus. Erneut kann Gold gegenüber Silber (SLV) relative Stärke entfalten. 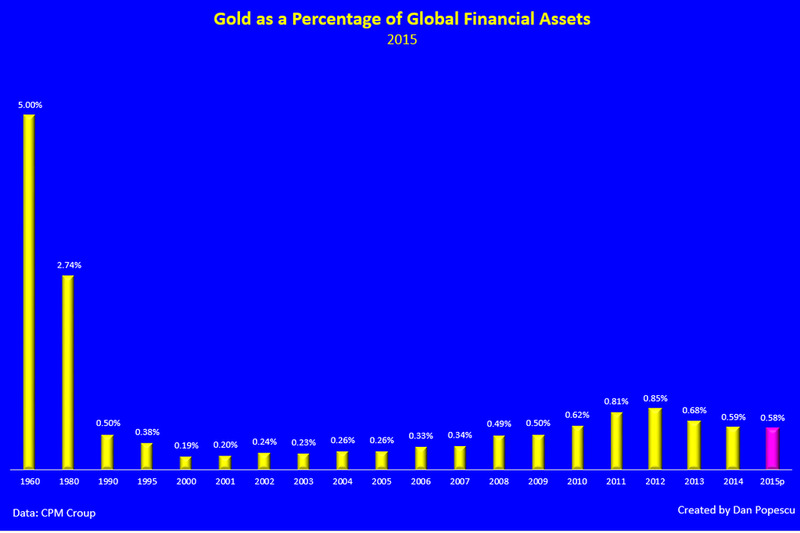 Die gesamte Handelsspanne bleibt auch in der Vorwoche relativ gering und Gold pendelt einmal mehr um die markante Marke von 1.200 USD/Unze. In anderen Währungen steht Gold YTD ordentlich im positiven Bereich. Gold- und Silberminen (GDX, GDXJ, SIL) können ebenfalls erneut relative Stärke zu den Edelmetall-Preisen entfalten, wobei die Juniors (GDXJ) ab Mitte der Handelswoche eine besonders hohe Korrelation zu den Majors (GDX) annehmen. Aktien der Öl- und Gas-Majors (DJUSEN, XLE) profitieren von der starken Woche beim Ölpreis, der die beste Handelswoche seit mehr als 3 Jahren erzielte, nur marginal - was vor allem am Verkaufsdruck an den Gesamtmärkten lag. Währenddessen gehören vor allem die Junior-Energieaktien zu den Top-Performern. Neben den Energiewerten können in der Vorwoche vor allem Kupferminen (COPX) punkten. Trotz relativ unverändertem Kupferpreis, zogen die Minenaktien ab letzten Mittwoch deutlich an. Es mehren sich die Annahmen, dass der Kupfermarkt kein Angebotsüberschuss in 2015 mehr sehen wird. In den nächsten Jahren droht ohnehin eher ein ordentliches Defizit. Standard-Minenaktien (TXGM) weisen in der letzten Handelswoche die geringste Volatilität im Rohstoff-Sektor auf und schließen die Woche nahezu unverändert ab. Positiv ist zu erwähnen, dass der Eisenerzpreis zumindest temporär seine scharfe Talfahrt stoppte.